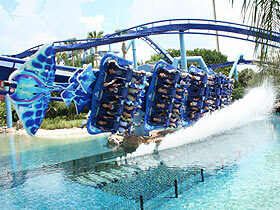 There's no place in the Orlando area like Sea World. 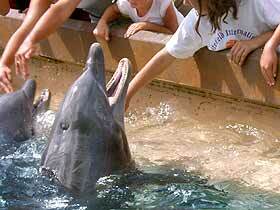 Touch and feed dolphins, count the teeth on a shark, and come face to face with polar bears. Just try to stay dry when the world famous Shamu® comes a splashing! If you have not had enough stomach wrenching rides... why not try the Highest, Longest, Fastest coaster in Orlando, The Kraken?